Mt. Fuji , on the United Nations World Heritage List, is widely known as a symbol of Japan, however there are many small mountains called Fuji in Japan. Most of them are named so because of the conical shape like real Mt. Fuji though, some mountains representing some districts are also called Fuji. These mountains are collectively called ‘Kyodo Fuji’ provincial Mt. Fuji. Artificial hills in the Kanto Region, in addition, are also called Fuji to be worshipped, since the belief in the spirit of Mt. Fuji is prevailing in this region. These hills are called ‘Fuji-zuka’ . 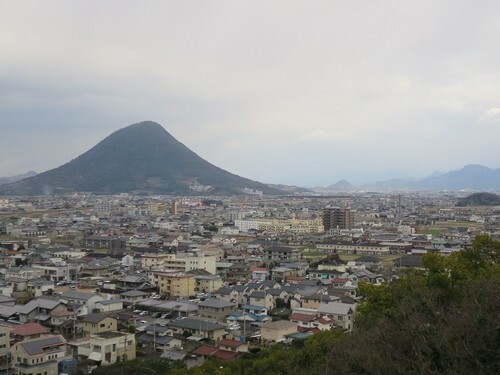 The first picture shows ‘Sanuki Fuji’ in Kagawa Prefecture, the beautiful conical shape of which resembling Mt. Fuji is impressive. 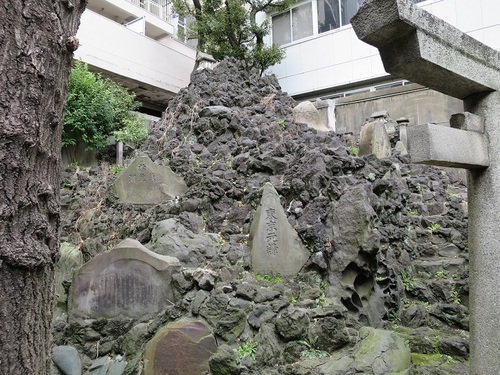 A rocky mound in the second picture is a fuji－zuka standing in the grounds of ‘Teppozu Shrine’ in Chuo-ku, Tokyo, which was built with the lava from real Mt. Fuji.